In this example, the organization invests 7% of New Hire Payroll in recruiting. With that budget, it is able to maintain an acceptable velocity of 75% while hiring great talent as evidenced by a Net Hiring Score of +52. 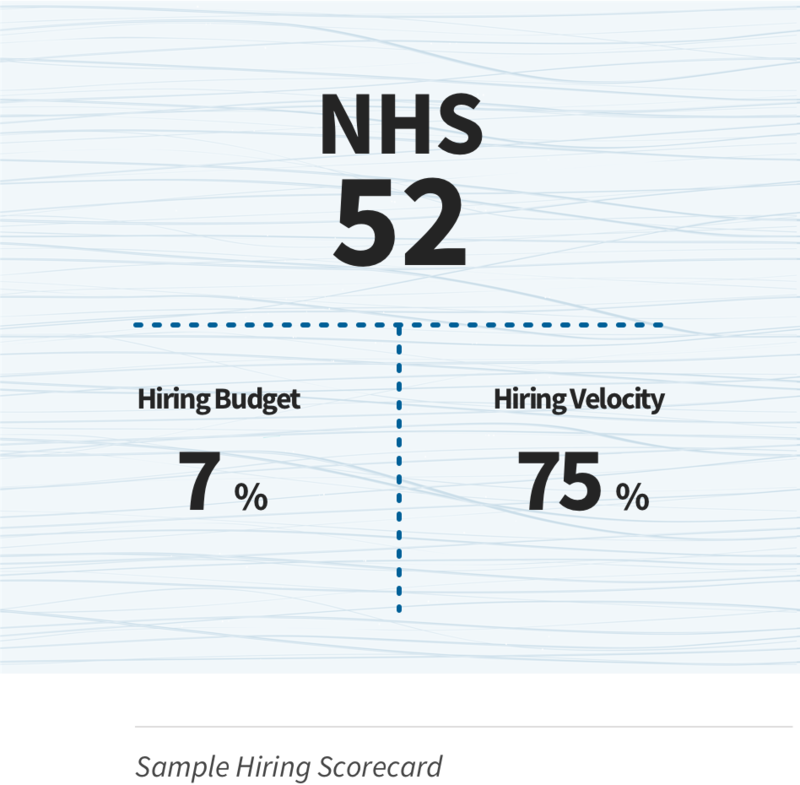 It’s important to note that even if you have a positive NHS, a low Hiring Velocity can still have a significant financial impact to the organization by not being able to fill jobs on time. This can result in not being able to fulfill strategies outlined by the business and missing much-needed targets. Now it’s time to measure the Return on Hiring.